Revision guides are available for purchase using parent pay to support students in getting prepared for their final exams. Revision guides can be purchased for years 9, 10. Guides can be bought at a reduced price compared to retail and these can be purchased using ParentPay. Just to provide a small update. After feedback from staff and students, the website is having a facelift to ensure it fits the needs of its users. Please bear with us while we carry out these changes. Some links and items may not work as expected but these will be resolved in due course. What a great first week back for students at Haven High Academy. Our year 11 students came back refreshed and ready to tackle their upcoming exams and our successful study and support program has been launched for our Year 10 students. 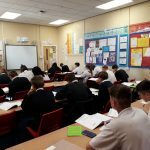 Study and Support is a study program that we run at Haven High Academy that aids in supporting students in taking ownership of their own development to improve their GCSE outcomes. Each student is given a Study and Support tutor that will work alongside the students to aid in ensuring they are making the most out their time. We offer a range of support sessions for students to attend and there are many rewards for students to obtain. Please click the link to review our Study and Support page that will be updated as we progress through this program. 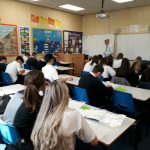 We have had outstanding turnout for our period 6 sessions this week we are very pleased with how engaged year 10 students are with this study program. Year 7 Parents evening is fast approach being on the 19th of June. All year 7 students have been issued an appointment card to book time slots with their teachers on the night. If your child doesn’t bring an appointment card home please contact the school for more information. The Parents evening will start at 4:30-7:00. We are looking forward to seeing all parents from year 7 to discuss their child’s progress in their first year of secondary school.